A multi-disciplinary team from the University of Pennsylvania (Penn) has published online on January 12, 2014 in Nature Methods a first-of-its-kind technique to isolate mRNA from live cells in their natural tissue microenvironment without damaging nearby cells. This allows the researchers to analyze how cell-to-cell chemical connections influence individual cell function and overall protein production. Tissues, of course, are complex structures composed of various cell types. The identity and function of individual cells within each tissue type – heart, skin, brain, for example -- are closely linked by which genes are transcribed into mRNA, and ultimately proteins. To study gene expression in single cells in their natural tissue setting, researchers must be able to look at a cell's inner workings, much as an ecologist does when studying how an individual species interacts with its habitat. Even cells of seemingly the same type are not identical at the molecular level. Most knowledge about variability in gene expression has been from studies using heterogeneous groups of cells grown in culture. Researchers doubt the ability to extrapolate "real biology" from these unnatural conditions. Tools for investigating what type and how much RNA is present in single cells in intact tissue provide a unique opportunity to assess how mammalian cells really work and how that function may go awry in various diseases, and eventually in testing new drugs. James Eberwine, Ph.D., professor of Pharmacology, Perelman School of Medicine, and co-director of the Penn Genome Frontiers Institute (PGFI), and Ivan Dmochowski, Ph.D., associate professor of Chemistry, School of Arts and Sciences, co-directed this study. Other Penn co-authors include Jai-Yoon Sul, Ph.D., assistant professor of Pharmacology,and M.
Variations in non-coding sections of the genome might be important contributors to type 2 diabetes risk, according to a new study. DNA sequences that do not encode proteins were once dismissed as "junk DNA," but scientists are increasingly discovering that some such regions are important for controlling which genes are switched on. The new study, published online on January 12, 2014 in Nature Genetics, is one of the first to show how such regions, called regulatory elements, can influence people's risk of disease. Type 2 diabetes affects over 300 million people worldwide. Genetic factors have long been known to have an important role in determining a person's risk of type 2 diabetes, alongside other factors such as body weight, diet, and age. Many studies have identified regions of the genome where variations are linked to diabetes risk, but the function of many of these regions is unknown, making it difficult for scientists to glean insights into how and why the disease develops. Only approximately two per cent of the genome is made up of genes: the sequences that contain code for making proteins. Most of the remainder is shrouded in mystery. 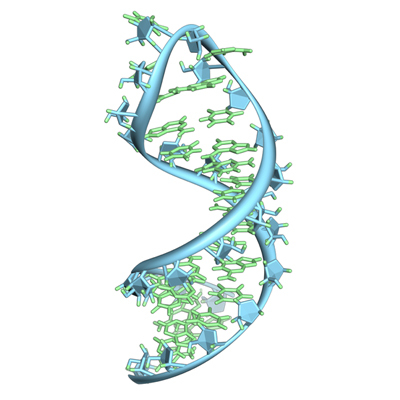 "Non-coding DNA, or junk DNA as it is sometimes known, is the dark matter of the genome. We're only just beginning to unravel what it does," said leading author Professor Jorge Ferrer, a Wellcome Trust Senior Investigator from the Department of Medicine at Imperial College London. In the new study, scientists mapped the regulatory elements that orchestrate gene activity in the cells of the pancreas that produce insulin. In type 2 diabetes, the tissues become less responsive to insulin, resulting in blood sugar levels being too high. Scientists have identified a mutated gene that causes a type of tenacious, benign brain tumor that can have devastating lifelong effects. Currently, the tumor can only be treated with challenging repeated surgeries and radiation. The discovery, reported online on January 12, 2014 in Nature Genetics, is encouraging, because it may be possible to attack the tumors with targeted drugs already in use for other kinds of tumors, said the investigators from Dana-Farber/Boston Children's Cancer and Blood Disorders Center, Massachusetts General Hospital (MGH), and the Broad Institute of MIT and Harvard. The mutated gene, known as BRAF, was found in almost all samples of tumors called papillary craniopharyngiomas. This is one of two types of craniopharyngiomas—the other being adamantinomatous—that develop in the base of the brain near the pituitary gland, hypothalamus, and optic nerves. The papillary craniopharyngiomas occur mainly in adults; adamantinomatous tumors generally affect children. The researchers identified a different mutant gene that drives the tumors in children. Drugs that target these adamantinomatous tumors are not yet clinically available, but may be in the future, said the researchers. "From a clinical perspective, identifying the BRAF mutation in the papillary tumors is really wonderful, because we have drugs that get into the brain and inhibit this pathway," said Sandro Santagata, M.D., Ph.D., a co-senior author of the paper. "Previously, there were no medical treatments—only surgery and radiation—and now we may be able to go from this discovery right to a well-established drug therapy." BRAF inhibitors are currently used in treating malignant melanoma when that BRAF mutation is present. Priscilla Brastianos, M.D., co-first author of the study, and Dr.